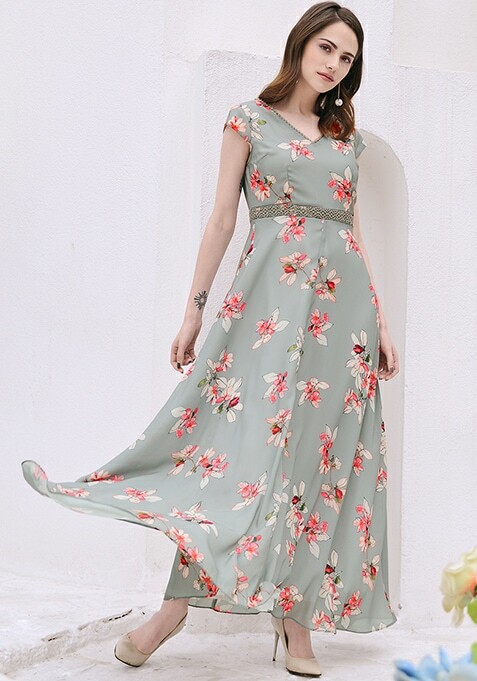 Look beautiful in this grey maxi dress that is a summer essential in every wardrobe. Featuring crochet insert on the waist, V-neck and short sleeves. Work It: Keep it very simple by teaming this maxi dress with strappy flats.